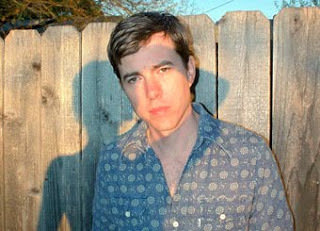 Bill Callahan, who typically releases music under the moniker Smog, put out one of his best album to date with Sometimes I Wish We Were An Eagle. As you may have read in my brother's post earlier, we are on opposite ends of the spectrum as Smog fans (with me playing the role of fanatic) and yet we both toyed with the idea of making it our album of the year. This is the second time Callahan has departed from his alias both in name and style. While it's not a full-blown sea change, here he's relied less on cryptic witticism threaded through the darkness made by single track recordings. Callahan finds himself once again pessimistic about romance, but the storytelling that follows is made much livelier by being allowed to have a less jagged and simplistic melody. The resulting effect of this new soundscape is less woe-is-me and cynical portrait that is more sagely in it's wounded reflection. “Eid Ma Clack Shaw” is another break-up song and great representation of Callahan's transformation as the lo-fi superstar of the Drag City roster has allowed an nother to be involved with the recording and his distinctive, baritone voice is accompanied by French horn, piano, and strings rather crackle of the cassette. Great post! We adore this blog. The main online casino games feature by the game features a variety of online casino games and you can play without having to program and you can also play baccarat online on mobile as well. Golden slot Our online casino games site has a member to open the account to the risk of the online casino more us every day. Because of our web site standard game service, the risk takers who come to gamble are given a lot of money and entertainment. If anyone wants to play gambling games on our site, our online casino games introduce the gambler to hurry. To experience the novelty of playing at our online casino is open to the players to play gambling games every day to make money for the players. The same risk every day. สล็อต If you are a gambler, sign up for a membership with the web and you will receive a password and enter directly into our online casino to play our gambling games. The gambler will not miss the fun of betting, we have launched a modern online gambling game that is secure, of course, 1000% fun online gambling.